History was made Monday when the United States moved its embassy to Jerusalem. More than 800 people, including politicians and dignataries from across the world, took part in the event. 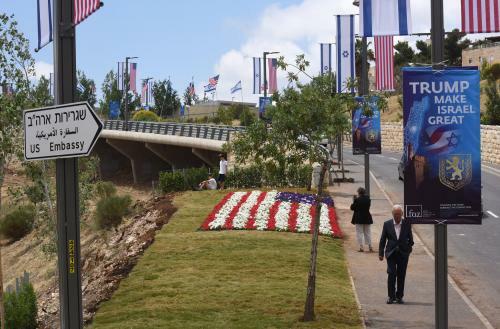 The US embassy is now in Jerusalem, the Jewish people's longtime capital. It was a day of hugs and smiles, and destiny. Many presidents had promised to move the embassy in the past, but President Trump was good on his word. Ivanka Trump was there, and Jared too. David Friedman and Jason Greenblatt also attended, Trump's Jewish advisors who were instrumental in the move. When the world's greatest superpower moves its embassy to Jerusalem, recognizing reality, it means something. For a day at least, the Jewish people have a victory.